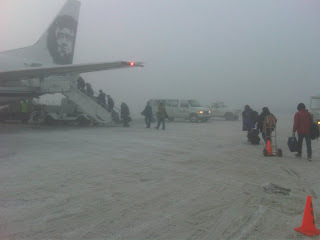 As I type this, I am awaiting to hear if my flight from Nome to Anchorage is cancelled. 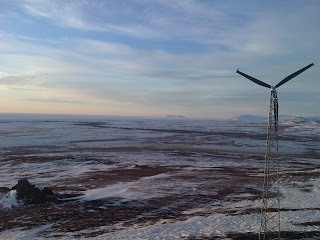 The winds have been above 30MPH for two days gusting to 50. My flight out last night was cancelled, and all the flights so far today have also been cancelled. The snow is drifted halfway up my neighbors front door. The last few weeks have been busy. 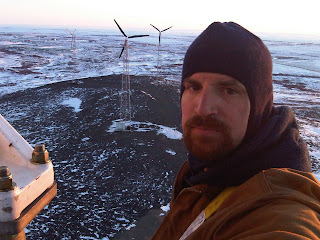 I spent a week working on the wind farm here in Nome. 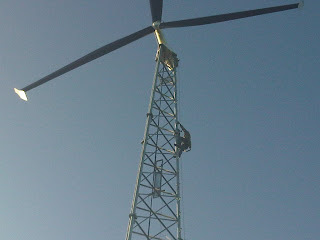 Me and my boss were the first to ever install a transmission on this style of wind tower while the tower was still up. 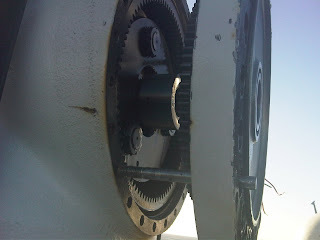 Each gear for one of these towers weighs about 80lbs. 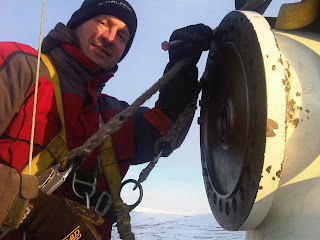 I have enjoyed climbing these towers and repairing them. 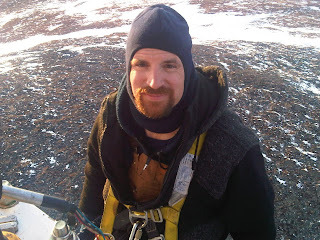 Fortunately we had a week of zero wind and relatively warm temperatures for this job. I also have been substitute teaching, which after a decade of teaching automotive technicians seems to fit my temperment well. Deb is enjoying her job as the director of head start, which takes a lot of her energy. I get to accuse her of tuning out and thinking about work during dinner, something I am guilty of almost every night. The girls are doing really well in school. Jannelle has really picked up the ball as far as homework and has been cranking out exemplary grades. I hope to be in Grand Rapids for the next couple of weeks doing some technical training, that is if the weather cooperates and lets me go to Michigan. I have about 100 more thank you's to write. I think I am caught up on email, and I hope I am caught up on Skype. My apologies to those who waited so long to hear from me. My laptop is coming back together, but unfortunately Adobe CS4 isn't liking windows 7. I have been escalated twice in figuring out why things wont load and am waiting for a call from the senior Adobe technicians.